Thanksgiving is a time to be thankful, spend time with your loved ones and EAT! 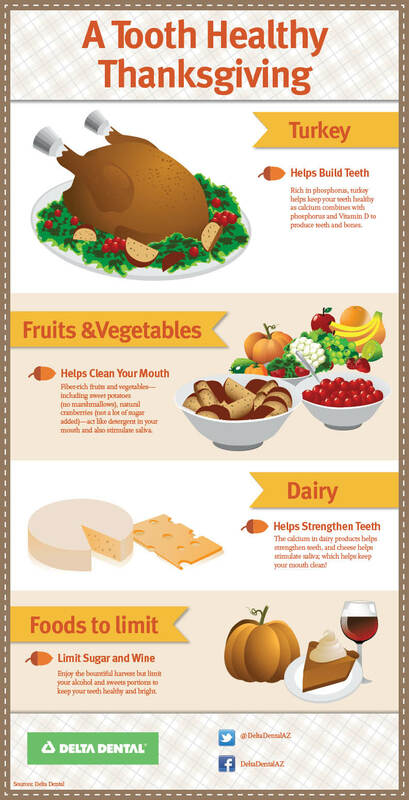 Fortunately, many of the foods we eat for our Thanksgiving dinner are good for our health. Unfortunately, there are always the bad guys lurking around the corner. While we would never suggest you skip that sweet slice of pumpkin pie, remember to limit your sugar intake. One glass of wine will do minimal harm, but several can leave you with more than a headache in the morning. Happy Thanksgiving from everyone at Delta Dental of Arizona!